Violins of Hope featured violins that were rescued from the horrors of the Holocaust and carefully restored as tributes to their previous owners. Through the exhibit, these musicians were given a voice to tell the stories of their place in history. 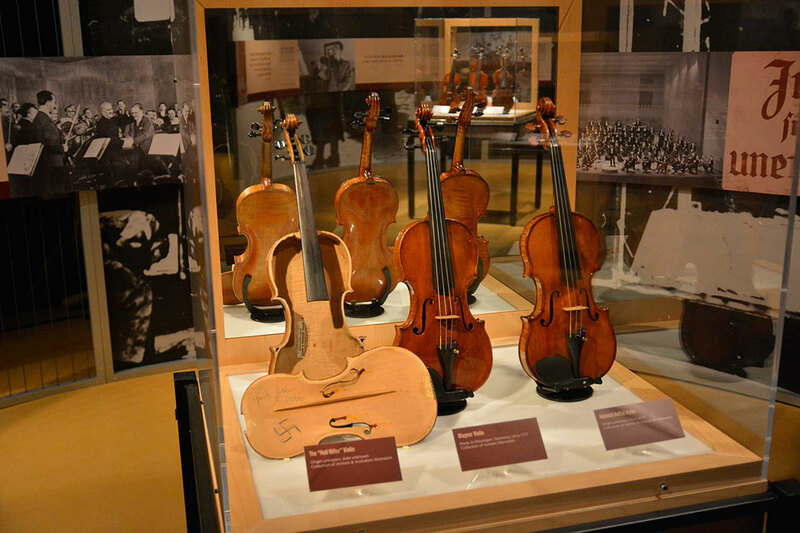 The 18 violins displayed at the Maltz Museum of Jewish Heritage – each one with roots to WWII – bore witness to some of the most horrible atrocities in human history. Their individual stories were shared via video and imagery as part of the exhibition which opened on October 2, 2015, and closed on January 3, 2016. 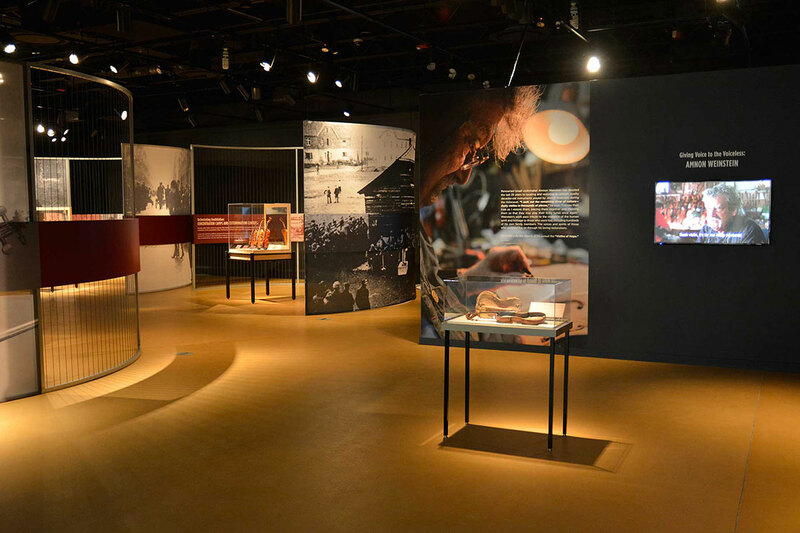 The multimedia exhibition shared each of the instruments’ very different stories and illustrated both the strength of the human spirit and the power of music. As is often the case when working in a non-profit setting, strict adherence to the budget was emphasized, while being mindful of the deep, artistic vision of the designers, and the aggressive timeline that was presented to our team. CEI worked directly with Gallagher & Associates based out of Washington, DC, to fabricate their vision in painstaking detail. 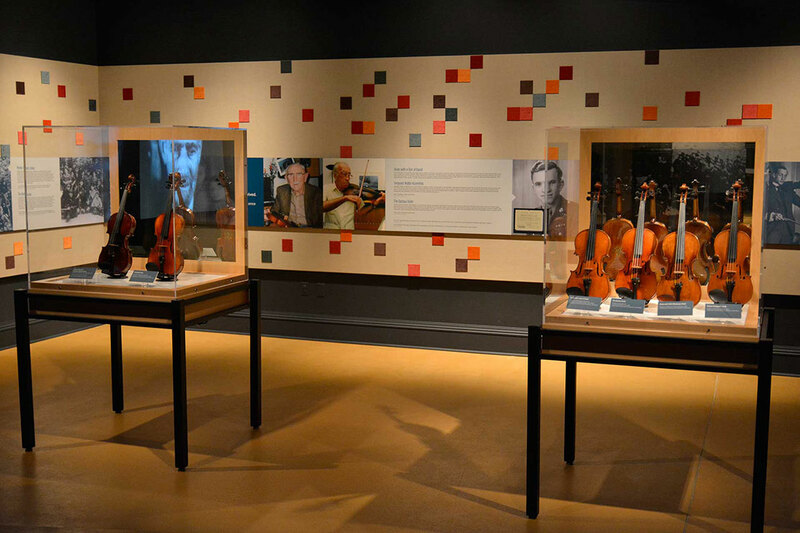 The resulting exhibit created a multi-sensory display to tell the stories of the violins, their previous owners, and a disturbing yet extremely important time in human history. CEI produced custom-lit fabric and aluminum pods, vinyl graphics, and display cases to showcase the emotional journey of the instruments – only the second time they were seen in the United States. 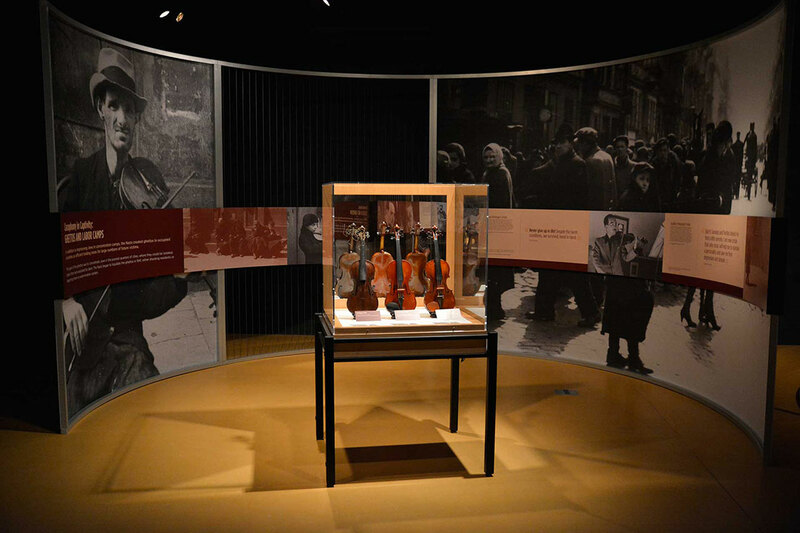 Violins of Hope exhibition was viewed by over 16,000 people – the second-highest exhibition attendance in the museum’s history and featured 18 violins played before or during the Holocaust. 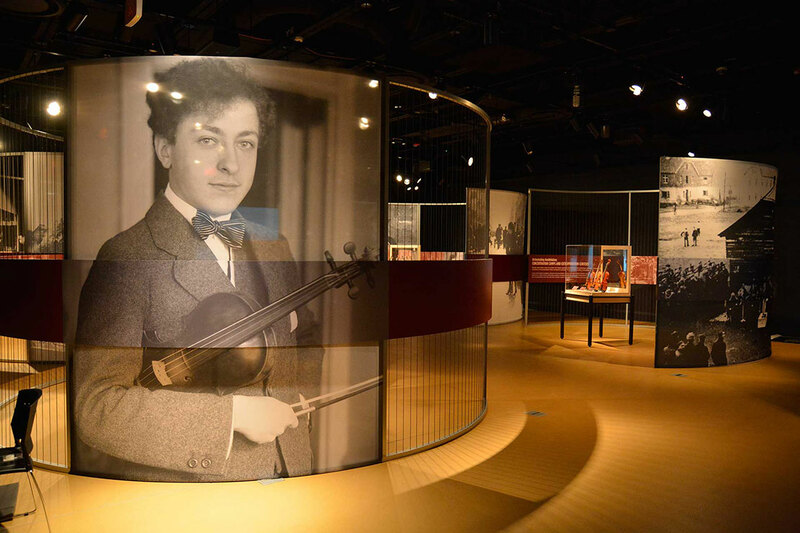 The violins were displayed in emotional theater treatments, and after viewing the instruments, visitors left the exhibition with a deep understanding of the relationship of the individual musicians to their violins during this profoundly evocative time in history.